A lot of people these days are becoming more aware of the energy savings to be had by shutting down unused equipment when it’s not in use. And while it’s no problem to shut off the TV and the end of the evening a lot of people have trouble doing the same for the PC. This is mainly because it’s nice to have all your work on your computer right there where you left it when you return in the morning. Of course, this is what “sleep” mode is for – you can save energy without losing your place. But wouldn’t it be nice if your computer knew when to wake up for you? Well, it can! Using the Task Scheduler (In Vista: Control Panel\System and Maintenance\Administrative Tools\Task Scheduler), you can make your PC wake up at the designated time you want just by having it run a simple task – like say, launching then closing the command prompt window. Schedule a task that executes the command cmd.exe with command line arguments [/c “exit”] (without the ) and make sure to set the ‘Wake computer up to execute this task’ in the power options. Schedule the task for when you want your computer to wake up and you will never have to wait on it again. How about scheduling a task to put a computer to sleep? Thanks for suggesting more people use sleep mode. But it only takes a few seconds (or less, for many PCs) to wake up from sleep mode. So how about instead of scheduling it to wake up, you save some more energy and just move the mouse or tap the keyboard when you're ready to use it? 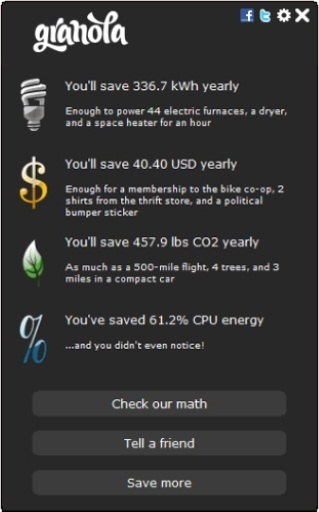 Thx for the link to climatesavers - good tips!